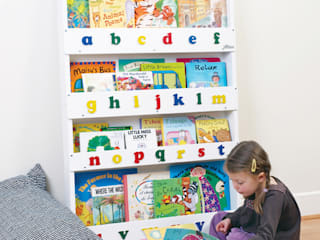 Tidy Books makes award winning children’s bookcases which get kids reading, and other children’s storage designs. Original designs, created with children in mind. 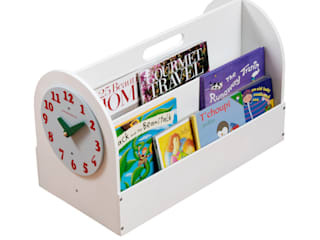 Our products are educational with a stylish aesthetic. 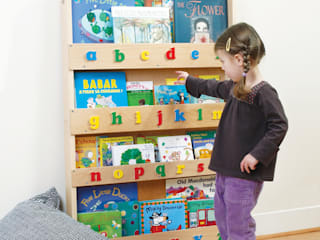 No other children’s storage or bookcase brand on the market today produces quality, eco-friendly kids bookcases which help promote a love of reading through innovative design. We were recognised by the Junior Design Awards this year for our design originality, and have won many other prestigious parents' awards. We’re proud to do business responsibly. 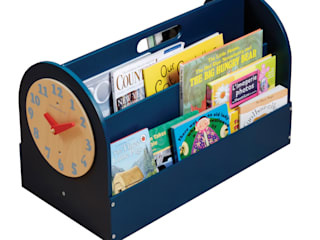 We developed a pioneering water lacquer finish for Tidy Books products. Water lacquer does not give off the toxic fumes of industry standard lacquers, is better for the environment and the health of the producers. 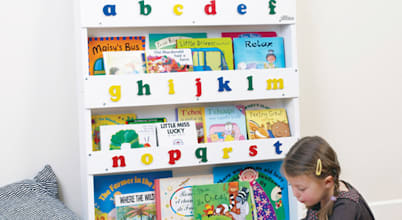 We also want to help all children to read, and we are in partnership with national literacy charity Beanstalk, and with US based literacy charity LitWorld in which we donate 1% of our online sales to help other children read. Loved by Parents, 2014 Silver.